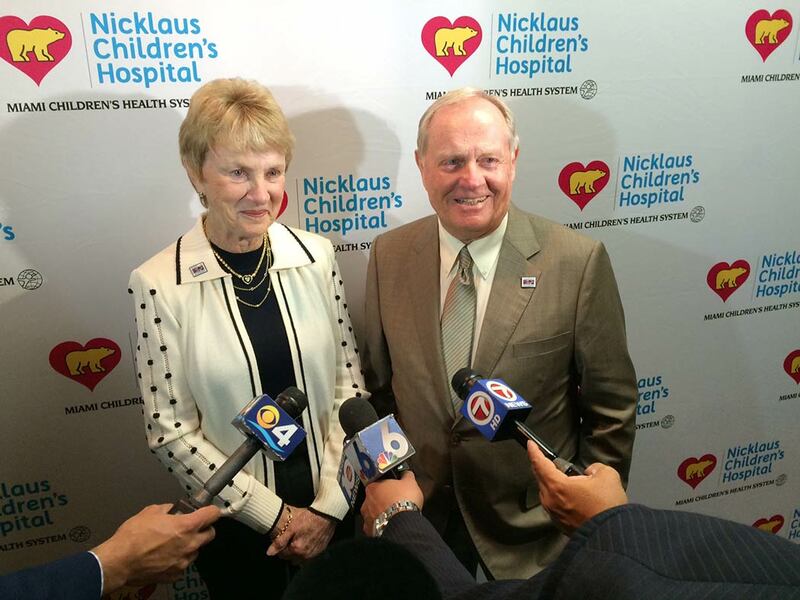 Originally founded as Variety Children’s Hospital in 1950, Miami Children’s Hospital adopted its new name, Nicklaus Children’s Hospital, on March 20, after unveiling a new logo alongside Jack and Barbara Nicklaus in conjunction with the hospital’s 65th anniversary. In addition, the hospital’s eight outpatient centers also assumed the Nicklaus name. The new Nicklaus Children’s Hospital logo borrows from the Nicklaus Children’s Health Care Foundation’s iconic Golden Bear and heart emblem, capturing the strength (bear) and caring nature (heart) of the two organizations. The logo also incorporates the child and globe emblem that has long been associated with the hospital, now in its 65th year of service to the children of Florida and beyond.